Gabi is a solid black female. Gabi is an import from Slovakia with a very strong pedigree behind her. Her dam is full sister to our Ryka. 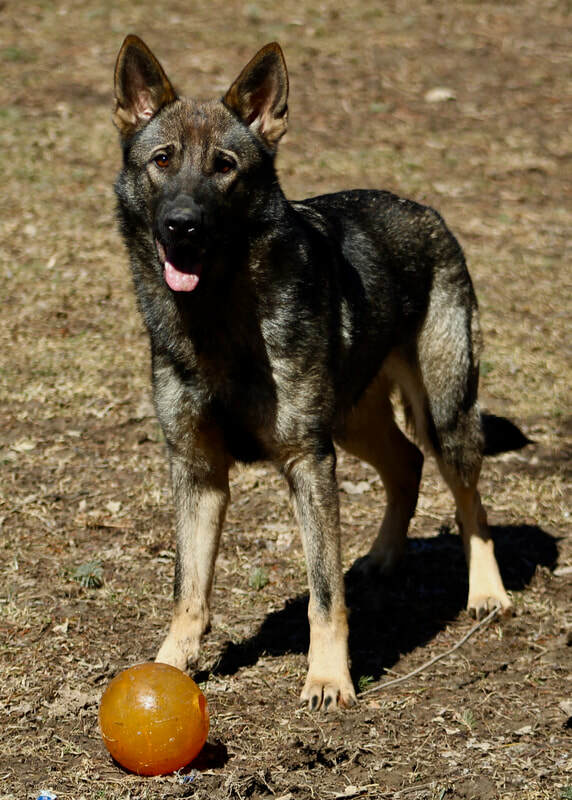 We are very excited to add this wonderful female to our breeding program. Sassi is a black sable female. Sassi is a very high drive, high energy, sharp girl. She has a social outgoing personality but is very serious about protecting what is hers. Her ball drive is insane and she will not quit when it comes to ball. She produces very nice working dogs for SAR, Sport and other dog venues. She's very fast and athletic. 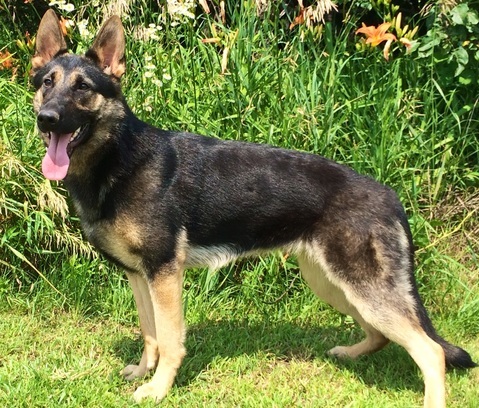 Ryka is a high drive, high energy female out of some very strong West German bloodlines. Vom Gildaf is very excited to import this young female and incorporate her in to our breeding program. We expect very strong nerve and working drives from her progeny. Dani of Crooked Creek "Dani"
Dani is a love. She has a super, sweet demeanor but her drives are very high. She has high energy level with insane ball/toy drive. She's very trainable and biddable. Her nose is fantastic and she's excelling in SAR Trailing. Rebel is an upcoming female at Vom Gildaf. We are very excited to add this girl to our breeding program pending health clearances at 24 months. She will be training in UKC Conformation, Flyball, Agility and Obedience. Birdy von den Wachhunden Des Bach "Birdy"
Birdy is a lovely full DDR female with strong bone and a strong head. She is medium drive and will be a nice compliment to our breeding program. Maddux is an upcoming female at Vom Gildaf. We are very excited to add this girl to our breeding program pending health clearances at 24 months. She will be training in UKC Conformation, Flyball and article detection. Faith is an upcoming female at Vom Gildaf. She will be training in UKC Conformation and obedience.